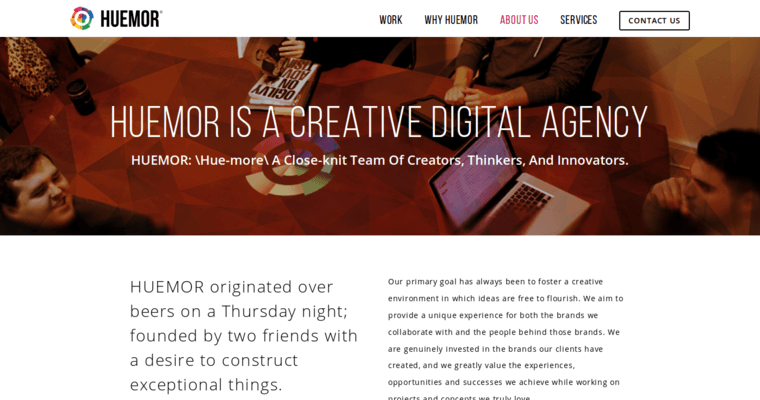 Huemor Designs is a New York-based company that offers creative IT solutions for local clients. Open source technology dictates the development process in the design studios of this company. HTML5 is perhaps the most important source code that has to be used to build the framework of responsive websites. This markup language is controlled by CSS3 documents that are designed to facilitate editing on a large scale. HTML5 tags that appear on web pages must comply with the most recent standards that have been defined by the World Wide Web Consortium. Another powerful syntax that this web design agency uses is called PHP. As an open source language, PHP can be readily deployed on any operating system. Web servers that run on Linux or Apache could be configured with this powerful script that defines responsive domains. Huemor Designs can also help businesses find the right web hosting solution at affordable annual rates.